Re: What holsters fit the P-07? Anybody know which holster will fit the P-07 with suppressor sights, threaded barrel/comp and TLR-1? I've got two for my P-07, a kydex from pantherconcealment.com and a leather snapcake from littlebearcustomholsters.com. Both of these guys do outstanding work and have never let me down. I am extremely pleased with my LightTuck from vedderholsters.com Make sure to tell them you want the mag release button covered. This is my 3rd lighttuck. Hi all. I made my own as the offerings were limited. R&R Holsters, which I bought off Amazon link will be below. I bought it because I needed a holster that would allow me to carry my P07 with a Streamlight. It was cheap and I needed it fast, so I ordered it. It is the best kydex holster that I own. I have a lot of kydex hosters from big name places that cost double or more than this holster. But this is the most comfortable kydex holster I own. I can wear this holster 16 hours a day and never feel it. I am extremely happy with my new Paratus 2 from 1441 Gear. Great fit, retention, comfort and concealability. 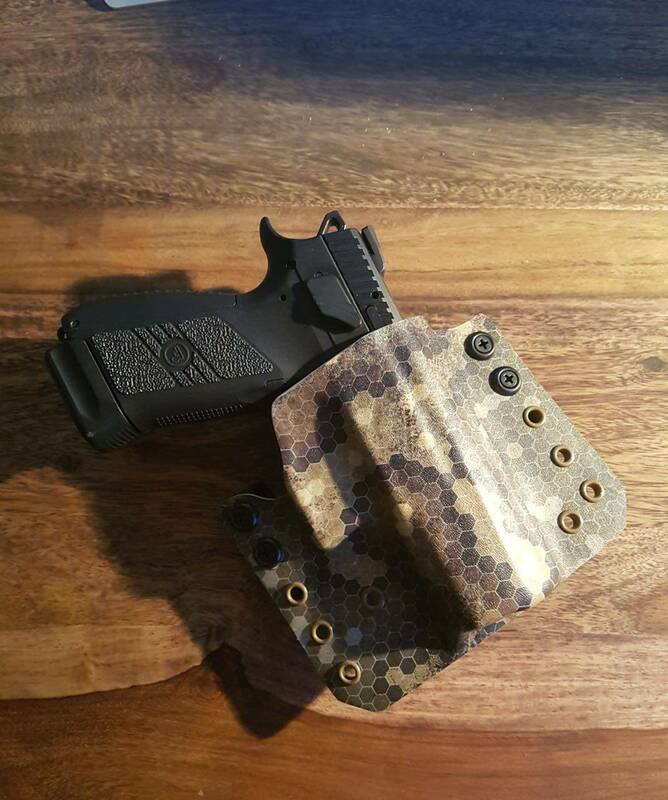 I usually hate kydex holsters, but this one is a keeper. Their are several options for ride height and cant, especially with dual Infinity Loops. Got it in less than 3 weeks, and the price was pretty fair. While waiting to take possession of my P-07 I bought this holster specifically molded for that model from Colorado Holsters off ebay. The photo shown here is for the threaded barrel version but they also make one for the standard model which looks slightly different and is the one I have. Belt loops are reversible for IWB or OWB carry and it fits the P-07 like a glove. The pistol goes in with a reassuring click and stays put. There is a small body shield extension on the reverse side that covers the de-cocker which cannot be seen from this photo. There is a disclaimer that this holster will fit the de-cocker equipped P-07 only, no manual safety. Having just got the P-07 and this holster I haven't strapped it on yet for CCW so I will await final judgment until then. I found a great holster by the name of Mid-Atlantic out of Virginia Beach,Va for 29.99 and free shipping, I ordered one on Sunday and it was in my mailbox Thrusday. 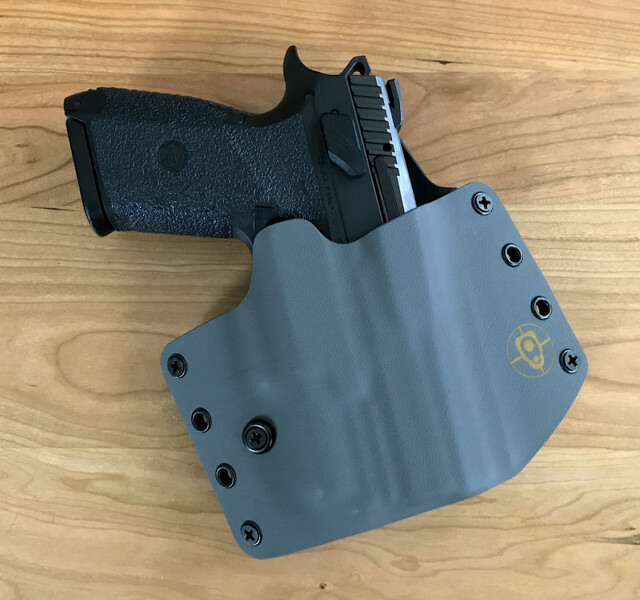 Any thoughts on the StealthGear 'Ventcore' holsters for IWB/AIWB? 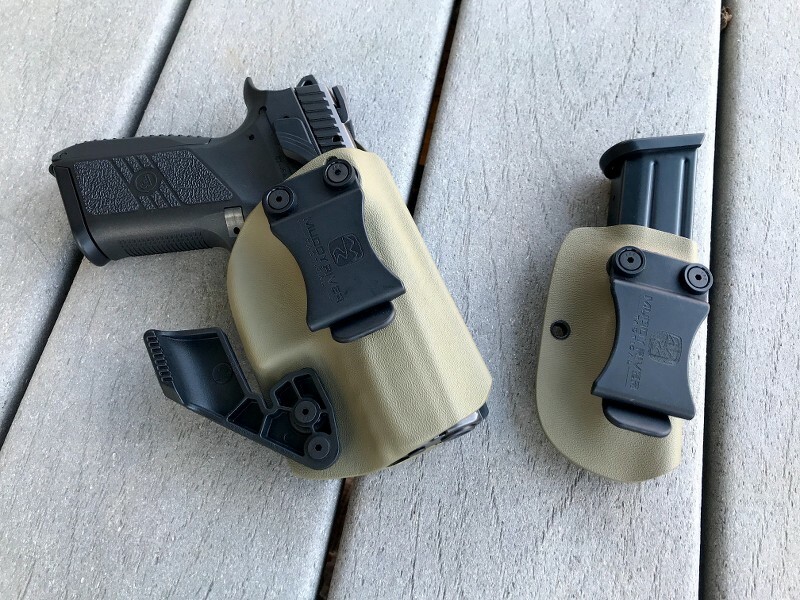 In general, I don't have a high opinion of most hybrid holsters, but this one has my curiosity. The Galco IWB Kingtuk (KT248B) for the Sig 226/220/228/229, MK6, and Canik TP9SA fits the P07 very nicely. I wear my 229 Legion and now my new P07 at 12 o'clock and it's super comfortable while I'm driving or at my desk. As an added bonus, I found this holster in the range's bargain bin for 50% off. 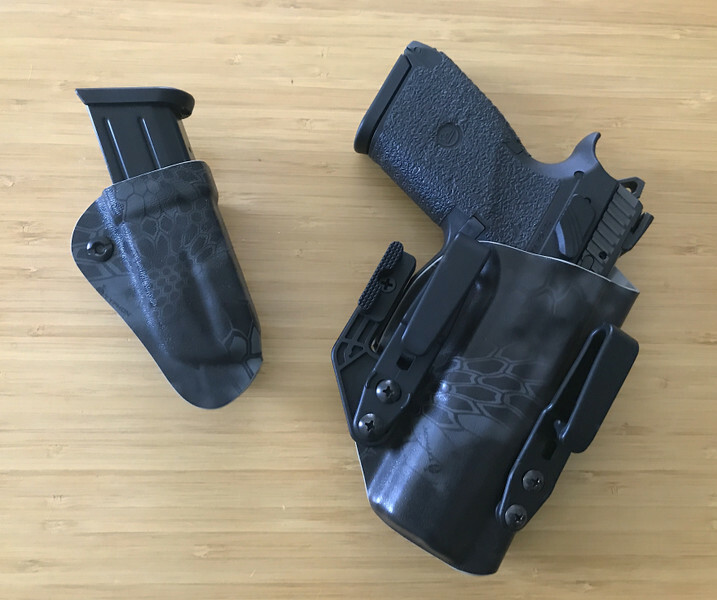 Bought this AIWB holster off a forum member - made by JM Custom Kydex. 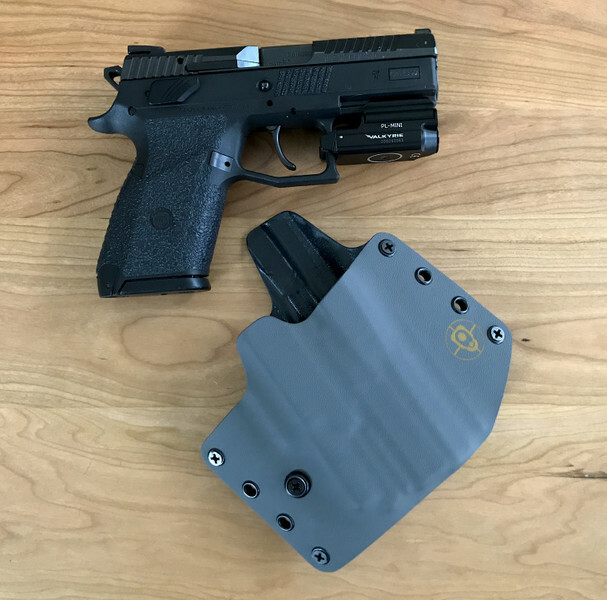 It is by far the best AIWB holster I've used - very stable, slim, positive retention (with an audible click) and it does an excellent job of tucking the gun in against my side. I've owned other JMCK holsters and the quality has always been excellent, but this one takes the cake. Mine is made by JM Custom Kydex. No regrets! They do good work.